With an impressive growth record in this highly competitive industry, we are providing a qualitative range of Brass Jhula Hook. 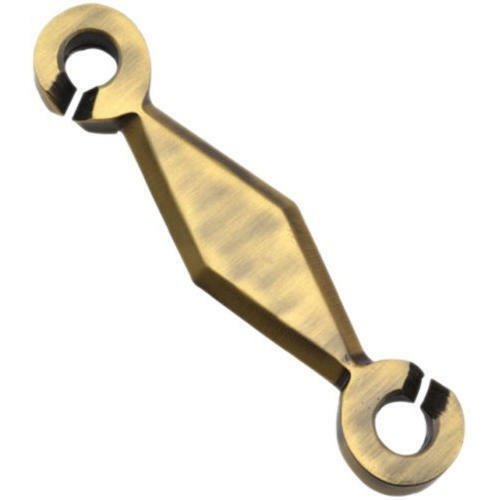 We Jay Vijay Brass Industries founded in the year 1982 are a renowned firm that is engaged in manufacturing a wide assortment ofBrass components,Brass electrical parts ,Brass Gas parts Jhula Chain, Baby Latch, Brass Hinge, Mirror Bracket, Brass Doom, Brass Bracket, Mirror Cap, etc. We have a wide and well functional infrastructural unit that is situated at Jamnagar (Gujarat, India) and helps us in making a remarkable collection of products as per the global set standards. We are a Sole Proprietorship company that is managed under the headship of "Mr. Milap D. Nakum" (Manager) and have achieved a significant position in this sector.